Mike Timmons has been a resident of Florence for over three decades, most of which has been in the restaurant business which has given Mike a large number of contacts and friendships in the community. Mike is a graduate of Williamsburg Academy in Kingstree, SC, and also studied at Francis Marion University. 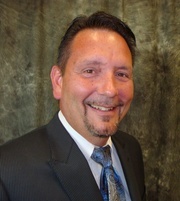 According to Mike, “I chose Weichert Realtors because they have a reputation of solid business ethics, they’re uniquely helpful for new agents, and they offer a very effective set of tools known as the Big Yellow Tool Box.” Mike also shared that he loves working with people because he gets great satisfaction from helping people who need help. Broker in Charge, Barry Hulsey notes, “Having owned businesses in Florence’s service industry, Mike Timmons brings a very special skill set and group of contacts that add up to him being a great addition to our team.” When Mike isn’t helping people with their real estate needs you’ll find him coaching softball, and serving as League President for Florence Girls Softball. He and his wife and three daughters attend New Spring Church in Florence. You can reach Mike Timmons at (843) 206-6086, or stop by Weichert Realtors® - The Freedom Group, 901 Second Loop Road in Florence.